Infographic: Why is There a Shortage of PCPs in the U.S.? Primary care physicians once the foundation of the U.S. healthcare system are now in short supply, according to a RockHealth infographic. Only 32 percent of physicians are primary care providers. The infographic lists the top reasons medical students do not choose primary care and the expected shortage of PCPs in the coming years. You may also be interested in this related resource: Physician Practices: Key Value Drivers in a Changing Environment. Posted in Healthcare Trends, Infographics, Physician Practices | Comments Off on Infographic: Why is There a Shortage of PCPs in the U.S.? Nearly half of the U.S. population has a chronic condition, which costs the U.S. $234 billion in lost productivity and $425 billion in total healthcare spending, according to a new infographic by HealthX. The infographic looks at the most expensive and the most common diseases, along with the impact that mobile health can play in reducing the costs associated with these conditions. You may also be interested in this related resource: Case Studies in Comprehensive Primary Care: Guidance from Group Health Cooperative and Geisinger Health System. More and more potential patients are looking for physicians online…80 percent of U.S. adults search for health information online. In the following infographic by Medical Web Experts, find out what medical information Internet users are searching for, why online marketing matters, and how it can benefit your practice or healthcare organization. You may also be interested in this related resource: Establishing, Managing and Protecting Your Online Reputation: A Social Media Guide for Physicians and Medical Practices. Guest Post: What’s the Future of Locum Tenens? The locum tenens experience provides exposure to different styles of healthcare and more diverse patient lists. Guest blogger Adam Ghosh, a researcher in the medical field, examines the impact of a surge of newly insured on the healthcare industry, and the role of the locum tenens during this transition. The landscape of the health industry is quickly changing. Come 2014, when the final pieces of legislation under the Affordable Healthcare Act are implemented, more individuals will have access to doctors and healthcare professionals than ever before. What does this mean for hospitals and practices across the United States? An increase, and not just a small one: a 32 million American increase. With this added pressure to a sector of society that is already experiencing shortages, what does this mean to the traveling healthcare professional? Simply put, universities and institutions across the United States will not be able to graduate enough physicians to accommodate the growing need when 2014 finally rolls around. But with the flood of recently insured Americans making their way through hospital doors, hospitals and practices will need to quickly adapt to these increases in patient numbers. The thousands of hospitals across the country will be faced with one of two options: accommodate the increase of patients or adapt to a waiting list policy that healthcare systems of similar operation are already using. To boost income and revenue while waiting for a qualified doctor to fill a spot, the locum tenens decision becomes more of an attractive choice. Traditionally, hospitals and practices that experience shorts in staffing have turned to the locum tenens  a doctor that takes healthcare assignments on an as-needed and temporary basis. The year of 2010 saw approximately 181,834 days where a locum tenens was used in the United States. In 2011, that number grew to 183,252. Industry analysts say that 2014 will be the biggest year yet for locum tenens and related staffing agencies. With Obamacare facts and figures in mind, projected staffing spending this year for locum tenens was expected to grow nearly $147 million. While the numbers aren’t in yet, it looks like the estimate was not that far off. As it stands now, the small shortage that exists in the United States is perfect for the many staffing agencies that supply hospitals with these temporary doctors, but in less than a year all that is about to change. To combat this impending need, there has been an increased push to make locum tenens assignments more attractive to the physician who is just out of med school. Currently, about half of the United States’ practicing locum tenens is over the age of 55. To accommodate the needs of the waves of people who are soon to become insured, industry recruiters are looking to drive down this mean age by quite a bit. To accomplish this, staffing agencies proudly point to findings from surveys that show the experience that physicians gain while on an assignment can have a host of beneficial outcomes later on in their careers. Such benefits range from exposure to different styles of healthcare to a more diverse patient list. One study even showed that out of the respondent pool, more than half of the doctors stated that had they experienced increased exposure to different hospital settings, they would have chosen a different location for their first job. What exactly does the future hold for this portion of the healthcare field? The answer is a little uncertain, but with an additional 32 million people in the market for medical services, it doesn’t take a neurosurgeon to see that the healthcare industry is in for a big shake-up. Adam Ghosh has over twenty years experience as a researcher in the medical field. In that time he has worked with allergists and vascular surgeons, and everyone in between. He is a contributor to Weatherby Healthcare. Posted in Healthcare Reform, Healthcare Trends, Physician Practices | Comments Off on Guest Post: What’s the Future of Locum Tenens? The cost of medication non-adherence is great: in 2009, the New England Healthcare Institute (NEHI) blamed it for $290 billion in ‘otherwise avoidable medical spending’ in the United States alone each year. One area researchers are looking at more closely than ever is care transitions, as we report in this issue. Research shows that patients transitioning from one care facility to another are driving up related healthcare costs because of the gaps and resulting errors that can occur. This is an important shift in perspective, given that researchers have long thought that complex patients with multiple conditions/medications are primary causes for non-compliance. 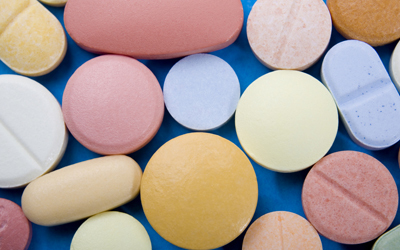 We also explore pharmacists’ role in medication adherence in a new chart of the week. It illustrates the top five areas pharmacists are being reimbursed for their efforts in this area. Compiled from the Healthcare Intelligence Network’s own research, the findings reveal that while patient education numbers among the top five actions incented, the majority of pharmacists are not reimbursed for their efforts in this area. The healthcare costs of tobacco-related diseases rivals medication adherence; every year, an estimated 443,000 people in the United States die from smoking or exposure to secondhand smoke, and another 8.6 million people suffer from a serious smoking-related illness. Annually, costs associated with smoking-related illness account for billions in medical expenses and lost productivity, and 5.1 million years of potential life lost in the United States, the CDC reports. California has been proactive in reforming smokers and disparaging tobacco companies; according to a report from the University of California San Francisco (UCSF), a decades-long campaign in that state cost $2.4 billion, but reduced healthcare costs by $134 billion, and reduced the sales of cigarette packs by 6.8 billion, amounting to a loss of $28.5 billion in sales to cigarette companies. We also address the high cost of hospital readmissions; according to a report from the Robert Wood Johnson Foundation (RWJF), one in eight Medicare patients was readmitted to the hospital within 30 days of being released after surgery in 2010, while one in six Medicare patients admitted to hospitals for non-surgical reasons were readmitted within 30 days. Both rates were unchanged from 2008. The report, “The Revolving Door: A Report on U.S. Hospital Readmissions,” was based on new data that includes readmission rates for states, hospital referral regions, and more than 3,000 hospitals from the Dartmouth Atlas Project, largely funded by RWJF. It finds that readmission rates vary markedly across regions and hospitals. And finally, a new tool empowering Medicare beneficiaries and hopefully reduce healthcare costs is now accessible from UnitedHealthcare and Novu. An online portal enables patients to create their own personalized wellness programs, by registering and completing a confidential holistic health evaluation that helps them measure their fitness, nutrition and overall life balance. Based on their responses, a tailored health and wellness program is recommended that features customized coaching, nutrition and fitness goals that can be achieved in specific, manageable steps. Have any of your mHealth tools helped to reduce healthcare costs? Studies are showing that mHealth technologies could save from $1.96 billion to $5.83 billion in healthcare costs by the year 2014. Describe how your organization uses mHealth technologies in our online survey by March 5, 2013 and you’ll receive a free executive summary of survey results once it is compiled — via e-mail or an mHealth-powered text message. Your completed survey also enters you into a drawing for a $25 Itunes gift card. A new infographic from Greenway Medical Technologies answers some key questions about the medical home and its impact on the health care system, including private sector support, a breakdown of reimbursement models used, and much more. You may also be interested in this related resource: New Models in the Patient-Centered Medical Home: Incentives, Infrastructure and IT to Support Accountable Care. We are happy to announce the recent launch of CaseTalk…a Forum for Care Coordinators, a new online interactive resource for case managers and other healthcare professionals on LinkedIn, where members can weigh in on best practices, news analysis, and network with others. Stacey Hodgman, MS, RN-BC, CCDS, CPUM, senior director of care management at Kindred Healthcare, has been an RN for over 20 years with 16 years of case management expertise and experience working for managed care organizations, short and long term acute hospitals and work site wellness programs. 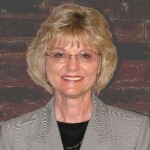 She has worked for Kindred Healthcare since 2007 in care management leadership roles. 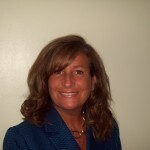 Stacey is ANCC Board certified in case management, a certified case manager administrator (CMAC) and has served two terms as an elected member of the executive board of directors for the Case Management Society of New England (CMSNE.) She received her nursing and undergraduate degrees from Rivier College and her Masters degree from George Washington University. Stacey volunteers for the Massachusetts Registered Nurses Association (MARN) as a career guide/counselor for new nursing graduates. She has authored articles in professional journals including Professional Case Management, the official journal of the Case Management Society of New England. Stacey is committed and passionate to patient advocacy and improving transitions of care as patients move throughout the healthcare continuum. 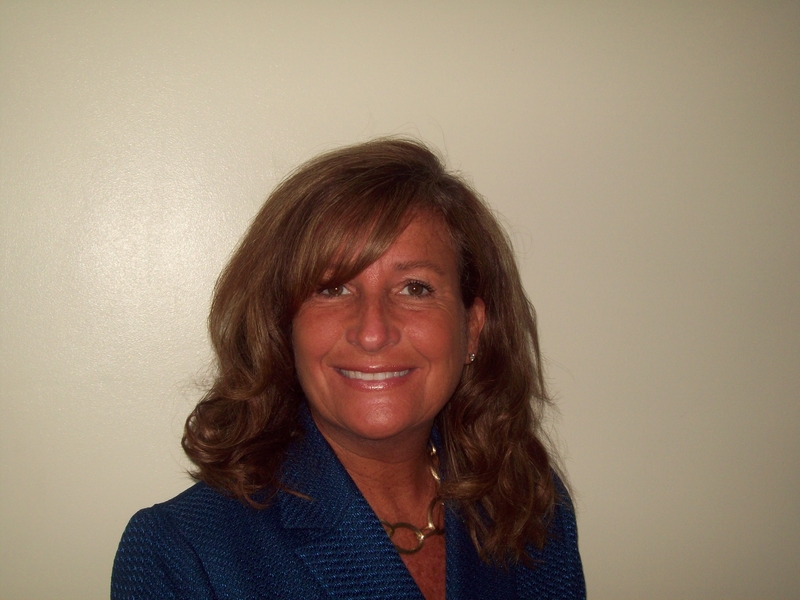 Teresa “Teri” M. Treiger, RN-BC, MA, CHCQM-TOC/CM, CCM, principal at Ascent Care Management, LLC, has over 30 years of healthcare industry and 20 years of care management experience. Following years of bedside nursing, Teri worked in managed care, acute hospital, rehabilitation and long term care settings eventually focusing in program design and implementation. 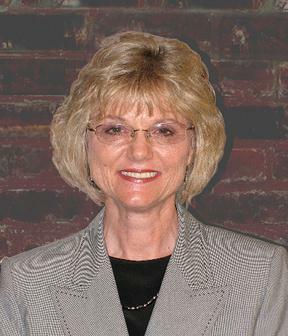 Teri has published on case management topics such as patient-centered medical home, advancing technology use, and future trends in care management. She was primary investigator in the 2010 Health Information Technology Survey and participant in the 2012 Survey Update. Teri co-authored chapters on interdisciplinary care transition teams for the American Gerontological Society and business considerations legal nurse consultants for the American Association of Legal Nurse Consultants. She serves on the Editorial Board of Hospitalist Program Management, Lippincott’s Professional Case Management, Case Management Monitor, and CMSA Today. Ms. Jan Van der Mei, RN, MS, ACM, Sutter Health Sacramento Sierra’s regional director for care management programs supports four hospitals with 800+ average daily census, two medical groups and one multi-specialty IPA. As the care management director, she is responsible for planning and operations for disease management including heart failure, asthma, diabetes, heart health and care coordination/medical office case management for patients with chronic illness, as well as anti-coagulation management. Ms. Van der Mei speaks to national audiences on case management and disease and population management issues and also serves as a Sutter Health internal consultant for system improvements in case management models. We welcome all healthcare case managers and other healthcare professionals to join our discussions, here. Average healthcare spending for employer-sponsored insurance climbed 4.6 percent in 2011, reaching $4,547 per person. This was well above the 3.8 percent growth rate observed in 2010, according to the Healthcare Cost Institute’s (HCCI) 2010 to 2011’s Healthcare Costs and Utilization Report, highlighted in an infographic by PayerFusion. Financial incentives for healthcare providers offered by the American Recovery and Reinvestment Act of 2009 (ARRA) are still well within reach. Demonstrating meaningful use is the key to receiving the incentive payments while achieving quality, efficiency and patient safety in the healthcare system through the use of certified EHR technology. An infographic by Greenway Medical illustrates the total dollar value of meaningful use incentives as of July 2012, along with strategies for meeting meaningful use requirements. You may also be interested in this related resource: Keys to EMR/EHR Success, Second Edition.